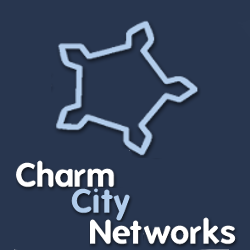 We recently released CirculatorBuddy, a website that maps the locations of Charm City Circulator Buses in real time. 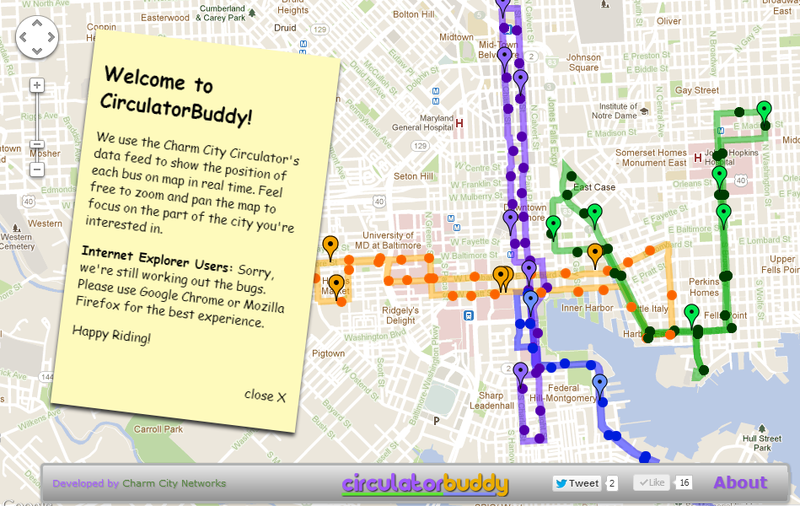 The site is intended to help Circulator riders plan their departures from home and work. 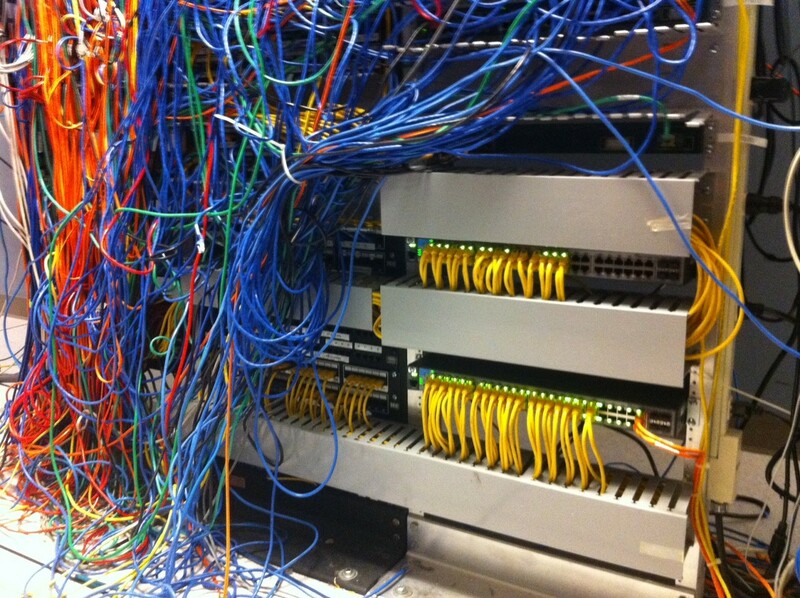 The site pulls GPS coordinates from the Circulator’s publicly available feed, and plots them on the map. The bus markers are then updated and animated every few seconds or so. As a website, mobile users can quickly load CirculatorBuddy on the go for a quick glance at the bus locations without downloading an app. 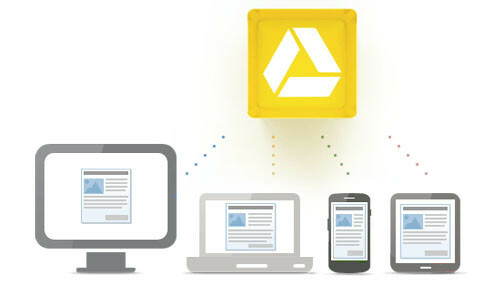 CirculatorBuddy is available at www.circulatorbuddy.com. 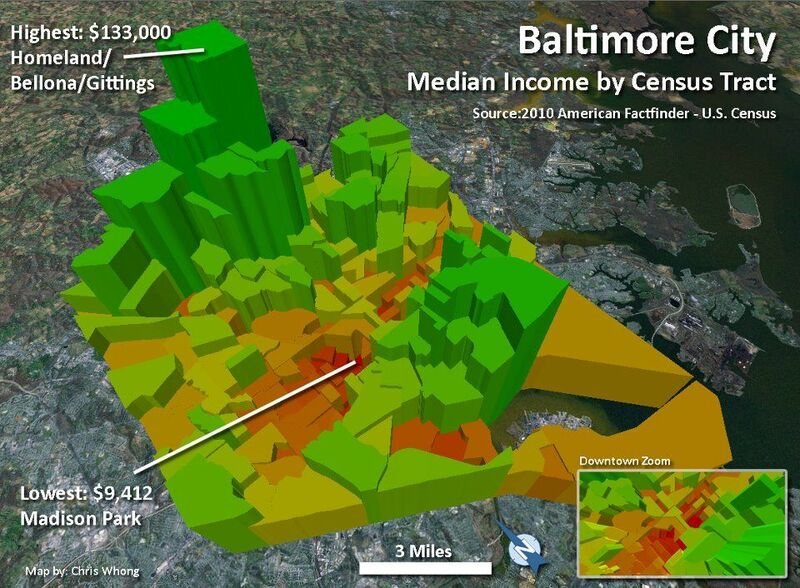 This animation shows Income and Density in the Baltimore MSA using 2010 Census Data. Each census tract is elevated above the surface of the map according to its population density, and color coded based on its median household income. 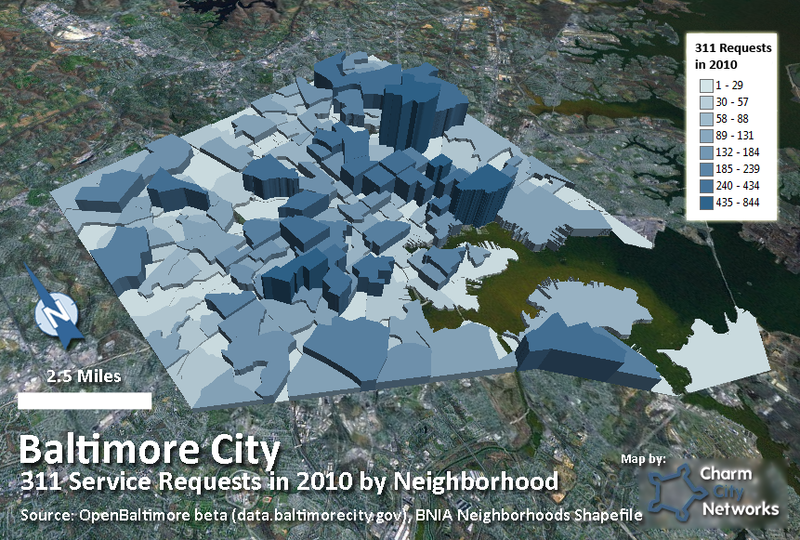 Baltimore is representative of a monocentric city, showing a highly dense urban core surrounded by pockets of medium density and mostly low density in the surrounding suburbs. The income color-coding shows how the poorest areas are the most densely populated, and vice versa. Median Income Range: $9412-$196250 Density Range: 38 persons/sq.mi. – 35,078 persons/sq.mi. 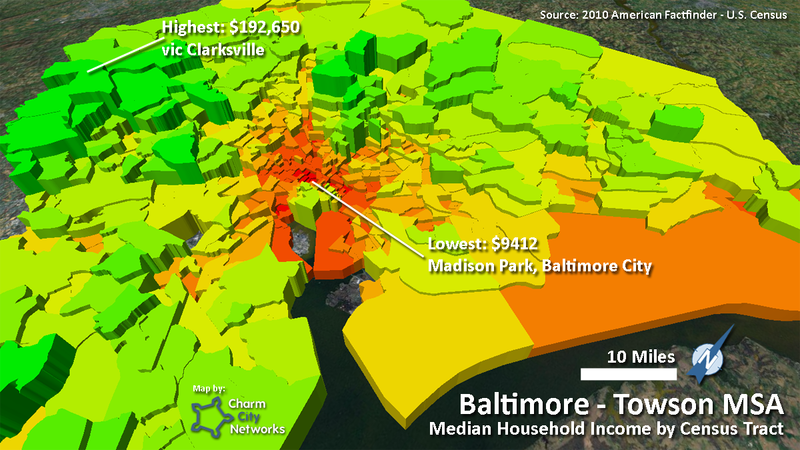 This map shows Median Household Income by census tract for the Baltimore-Towson Metropolitan Statistical Area. The data was pulled from the U.S. Census Bureau’s American Factfinder site, and joined with Tiger shape files. Each tract is extruded and color coded based on its Median Household Income. A sharp contrast can be seen between Baltimore City and its surrounding suburbs. Significant high-income areas can be seen in Towson/Timonium/Hunt Valley to the north, and Columbia/Clarksville/Ellicott City to the west.